Recently, utilities and regulators in California have proposed policy changes and new electricity rate structures that could drastically erode the value of stand-alone solar in California. Those changes, through modifications to net metering, time-of-use rates, and demand charges, could hit solar installations in affordable housing especially hard. 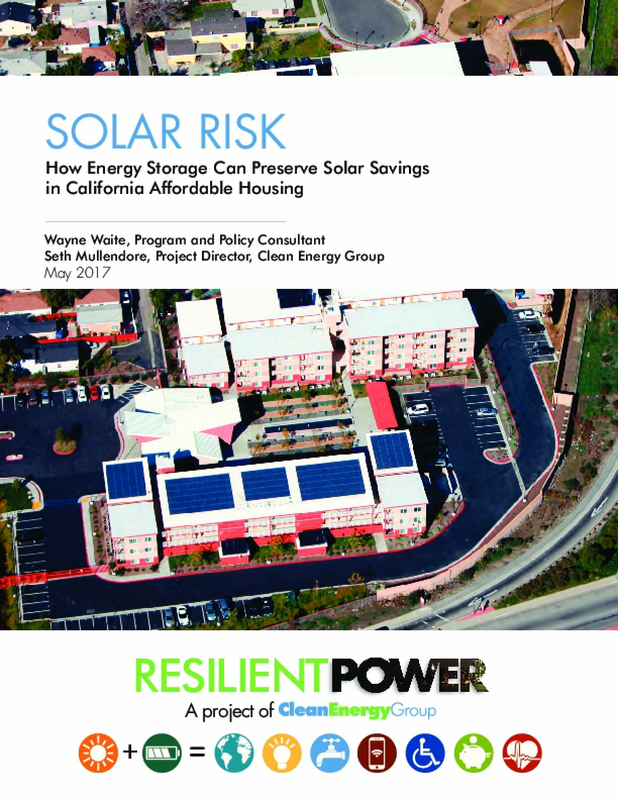 This report explores potential risks for California's multifamily affordable housing sector, and makes two important findings: (1) the changes would significantly reduce the value proposition for a stand-alone solar system, and (2) incorporating energy storage could potentially reverse these negative economic impacts.